Dental Loans From $300 To $10,000 | Super Fast Approvals | Apply Now! Dental loans from $300 to $10,000, no paperwork! If there’s one thing that everyone hates almost unanimously, it’s going to the dentist. Unfortunately, it’s something that we all must do to avoid getting ourselves a pair of those dreaded dentures. However, dental treatment can be very expensive and doesn’t fall under that sweet, sweet bulk billing threshold. So, dental loans could be exactly what you need to get and keep those pearly whites looking, well, pearly. Why not make your trip to the dentist a little less painful by minimising the amount of damage it wreaks on your wallet? It’s never going to be pleasant having a stranger explore the innermost crevasses of your mouth, leaving you in a rather vulnerable position. Dental financing might be just the thing to add a little more comfort to your visit to the chair. Dentals loans are simply small personal loans, medium secured personal loans, or large secured personal loans that are used to cover the coast of dental treatments. Whether it be for braces, wisdom tooth removal, veneers, or the dreaded root canal, our loans could have you covered! Your smile is the window to your heart, so it’s important to look after it. Loans for dental work from Jacaranda Finance will help you keep that window looking crystal. Therefore, with small personal loans from $300 to $2,000, medium secured personal loans from $2,001 to $4,600, and large secured personal loans from $5,000 to $10,000 you can stop stressing about the pain of paying for the dentist and just focus on keeping your cool while you’re there. Our dental loans come with easy repayment periods of 12-24 months. Therefore, this means you’ll have plenty of breathing room when it comes to paying off your loan. We don’t want the whole process to be like pulling teeth which is why we have designed our dental loans to be as fast and simple as they could possibly be. If you’ve been to the dentist a few times before then you’ll know the drill: generally, the payment hurts more than the actual treatment. However, with the right dental financing from Jacaranda Finance, your bank account will be left unharmed. Our application form is completed 100% online which means you can apply from anywhere, at any time. You could even be sitting in the dentist’s waiting room and submit an application to us. It could even be tooth hurty in the morning and your tooth is very hurty! It doesn’t matter! All you need to do is jump online to our website, fill out our loans calculator at the top of the page and click Apply Now. How long will it take to receive my dental loans? So, once you’ve submitted your application, we’ll let you know straight away if we’re able to make you an offer. This will be your conditional approval. Once you’ve received that just make sure you don’t stray too far from your phone. It could only take us an hour to come back to you with an official offer. However, this will depend on whether you have applied within business hours and if we require any additional information. Someone from our team will get in touch to go over some final details and then we’ll send you your electronic loan contract. Once you’ve signed it and sent it back to us, we’ll transfer you your dental financing! Therefore, it could be a matter of mere minutes before you have the money in your account. However, this will be up to the policies of the bank you are with and completely out of our control. Generally, the worst case scenario is that you’ll receive the funds the following business day. Do you approve dental loans for low-income earners? With the increase in dental costs and the decrease in the regular Australian household being able to afford dental treatment, there has been a steady increase in the number of Australian households using dental loans. Unfortunately, tooth decay doesn’t rest for anyone, regardless of how much they earn. Therefore, we’re big believers in giving everyone a fair go. We just need to know that you can afford to repay your loans without jeopardizing your financial stability. As a low-income earner, you’ll just need to be receiving a regular and stable income into your account for at least the last 90 days to qualify. This can be in the form of work wages or Centrelink payments. My child needs braces, can I get loans for braces? Braces can be a very expensive exercise for a parent especially if they don’t have insurance and your child is in need of them fast. As a result, the bills can add up very quickly between x-rays and appointments. However, there is no need to worry as all you need to do is hit the APPLY NOW button at the top of the page. There’s no need to sacrifice your child’s smile because of the expenses of dental treatment. Fill in the application form and we could even have your dental loan the same day! Do you offer dental implants finance options? Therefore, whatever dental implants finance options you decide to go with, Jacaranda Finance will be there to help make sure you get the care you need. Can I get dental loans with bad credit? As we take our responsible lending obligations very seriously, we do adhere to certain lending regulations. However, while we do run credit checks on new clients, this is not the only thing we look at. As a result, we also tend to be a little more lenient than banks and other traditional lenders. Therefore, as a result, we are firm believers that the past is the past and people’s spending habits and relationships with money can change. Therefore, we prefer to focus more on your income and recent spending habits from the last 90 days. This gives a much clearer representation of your true financial situation and it allows us to assess your borrowing credibility more accurately. So, if your bad credit has seen you knocked back from being approved in the past, Jacaranda Finance could be just what you need to push your finances into the future with a healthy smile on your face. Repayment could not be easier! Once your loan is finalised, we will set up a direct debit for you straight from your account. We’ll just ask you to pick a day – weekly, fortnightly or monthly – in which you’d like this direct debit to come out and we’ll take care of the rest. There’s no need to worry about pesky bills or risk forgetting to pay them! Just make sure you nominate a day that works with your pay cycle and budget and then each payment will be automatically deducted from your account. You’ll never have to lift a finger. Then, once your loan is paid off, the payments will stop automatically. No fuss, no worry! It’s all taken care of for you! So, the only time you’ll ever need to think about your payments is if you wish to throw a few more dollar onto them. You’ll just need to let us know so we can adjust the automatic payment amount. We always recommend to our clients that they try and pay their loan off as quickly as possible. This is due to the fact that we won’t charge you to pay your loan off early. Some lenders will add exit fees to their loans, not us! Therefore, paying a loan out early with Jacaranda Finance will only mean that you’ll only end up saving money on interest and other fees. 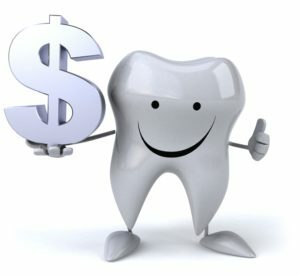 So, what is the dental financing for? What are the loans types available? Who is the lender I am borrowing from? So, if you’re looking for competitive, fast, no paperwork, loans then look no further because Jacaranda Finance is waiting for your application! How much do dental loans with Jacaranda Finance cost? If you’re having a tough week and know you’re not going to be able to make a payment, give us a call as soon as possible. We’re always happy to accommodate difficult situations. Therefore, we’ll work with you to find a solution that works for everyone! For some more information on the standard costs of personal loans, check out the Moneysmart website! Head back to our homepage and get started with your application! We’re always waiting to approve applications. Why? Because your smile is always worth our while! Dental loans from $300 to $10,000, no paperwork! Overall rating: 4.8 out of 5 based on 60 reviews.